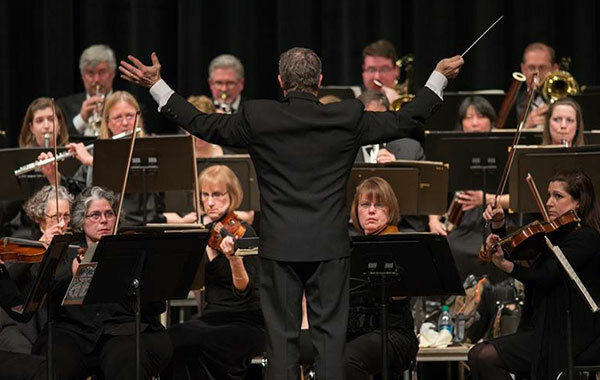 The Bucks County Symphony Orchestra presents its annual Family Concert at Central Bucks High School East in Buckingham, PA. Music Director Gary S. Fagin has chosen the theme “Strike Up the Band!” and the concert promises to delight and entertain music lovers of all ages. The Orchestra will be joined by the Cold Spring, Groveland, and Kutz 6th Grade Bands, directed by Central Bucks music teacher Mark Appiotti. The combined bands and Orchestra will perform Victor Herbert’s March of the Toy Soldiers, Scott Watson’s Dreidl Adventure, and “Trepak” from The Nutcracker. A highlight of the afternoon’s concert is a performance of the first movement of Kabalevsky’s Violin Concerto played by 7-year-old Nicholas Brady, a prize winner in the BCSO’s Youth Concerto Competition.